When you think about garbage bins locations in public spaces, certain areas immediately come to mind... Places such as sidewalks, plazas and squares, parks and picnic areas, trails and transit stops. These are all true across the globe! Waste bins are a key city infrastructure that have the opportunity to significantly enhance an environment and streetscape when a colorful, fun and smart solution is in place. Public space waste management is a core service in communities across the globe and many are embracing Bigbelly's smart waste and recycling system to enhance service delivery while keep these areas cleaner and more welcoming for constituents. We've seen these inviting public spaces promote a fun-filled environment with colorful graphics and educational messaging from Florida to Sweden and most recently, Greece. 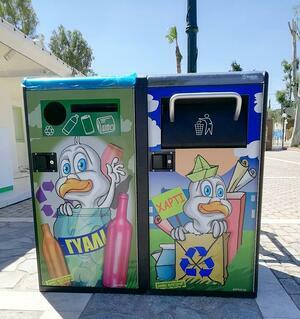 Check out the cheerful and colorful artwork on the Bigbelly smart waste and recycling systems located in Peristeri, Greece. 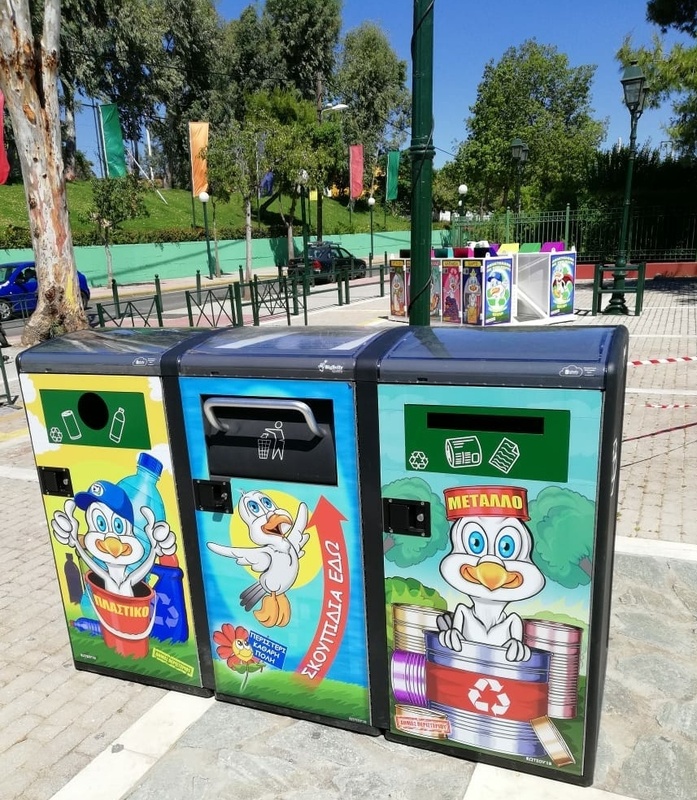 As a forward-looking suburban municipality located four kilometers north west of Athens, Peristeri has smart waste management in use in their municipal multi-activity park to keep the space as fun and inviting for all. The illustrative artwork adds even more color to these already fun public spaces and clearly relays the message of proper recycling disposal to pedestrians while on-the-go. Located in Greece or Cyprus? Please contact Bigbelly International Distribution Partner Pollakis to discuss the opportunity to deploy Bigbelly's smart waste and recycling system in your community... Phone: +30-694-0801000, or Email: denis.tsalikoglou@gmail.com, or Web: www.bigbellysolar.gr.